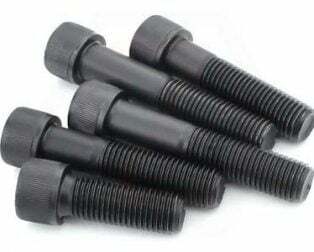 EasyMech HT Socket Button Head Cap Allen Bolt M3 X 12 – 25 Pcs. 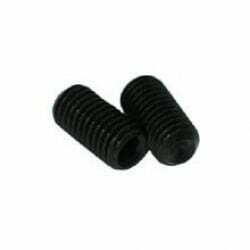 EasyMech HT Socket Button Head Cap Allen Bolt M3 X 20 – 25 Pcs. EasyMech HT Socket Button Head Cap Allen Bolt M4 X 16 – 25 Pcs. 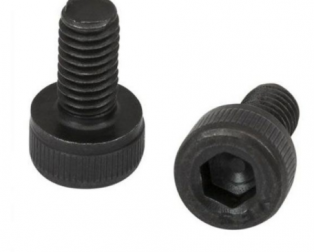 EasyMech HT Socket Button Head Cap Allen Bolt M4 X 8 – 25 Pcs. 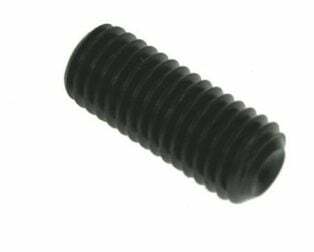 EasyMech HT Socket Button Head Cap Allen Bolt M5 X 12 – 25 Pcs. 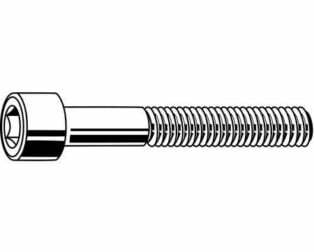 EasyMech HT Socket Button Head Cap Allen Bolt M5 X 20 – 25 Pcs. EasyMech M2 SS Hex Nut – 50 Pcs. Weight: 20 gm (50 pcs pack). EasyMech M2.5 SS Hex Nut – 50 Pcs. 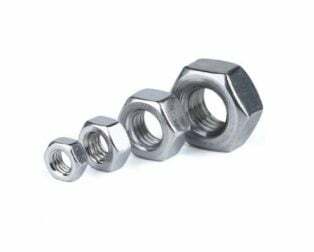 EasyMech M3 MS Nyloc Nut-25pcs. Ideal for a wide range of fixing applications. 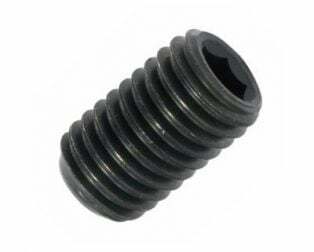 EasyMech M3 MS Plain Washer-100pcs. Weight: 13 gm(100 pcs pack). 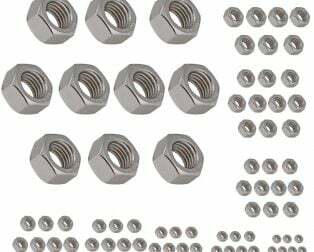 EasyMech M3 SS Hex Nut – 50 Pcs. 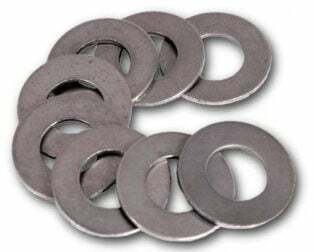 EasyMech M3 SS Plain Washer-50Pcs. Weight: 13 gm(50 pcs pack). 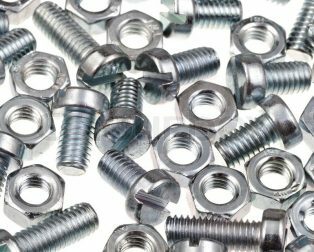 EasyMech M3 x 10mm CHHD Bolt, Nut and Washer Set-25 pcs. 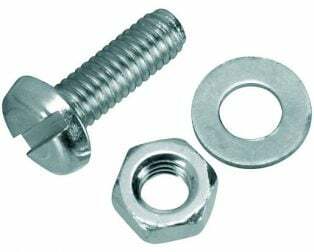 EasyMech M3 x 25mm CHHD Bolt, Nut and Washer Set-20pcs. 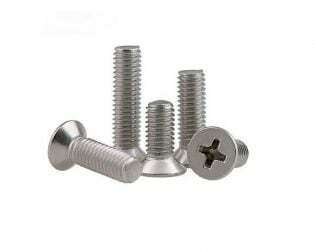 EasyMech M3 x 40mm CHHD Bolt, Nut and Washer Set-15pcs. 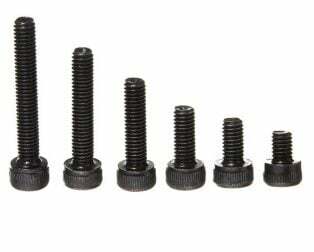 EasyMech M3 x 50mm CHHD Bolt, Nut and Washer Set-15pcs. 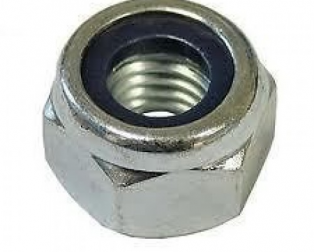 Easymech M4 MS Dome Nut (Acorn Nut) – 25 Pcs. Weight: 15 gm(25 pcs pack). Ideal for fitting on an exposed surface. 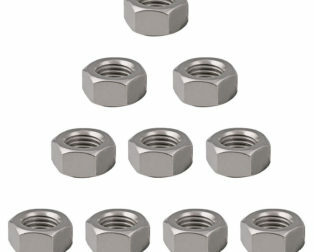 EasyMech M4 MS Nyloc Nut-25pcs. 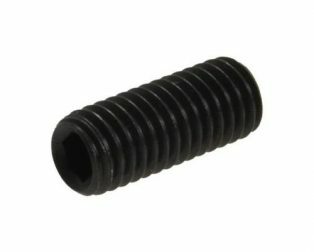 EasyMech M4 MS Plain Washer-100pcs. Weight: 18 gm(100 pcs pack). 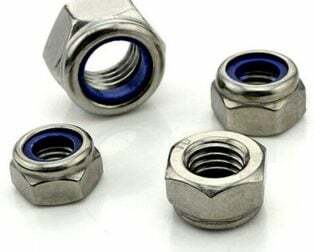 EasyMech M4 SS Hex Nut – 50 Pcs. EasyMech M4 SS Plain Washer-50Pcs. Weight: 18 gm(50 pcs pack). 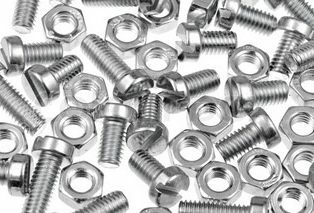 EasyMech M4 X 10mm CHHD Bolt, Nut and Washer Set-25 pcs. 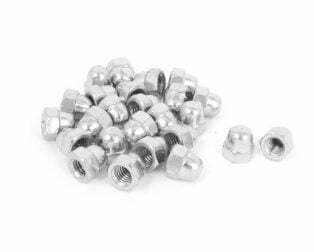 EasyMech M4 X 16mm CHHD Bolt, Nut and Washer Set-20 pcs. 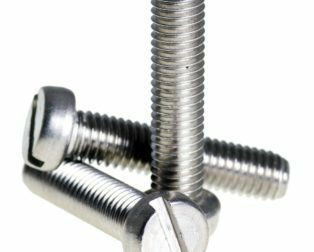 Bolt Head Style: Slotted & Round. 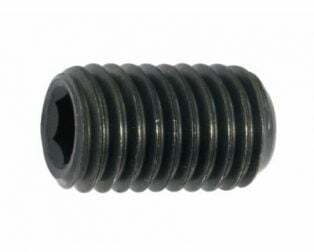 EasyMech M4 x 20mm CHHD Bolt, Nut and Washer Set-20Pcs. 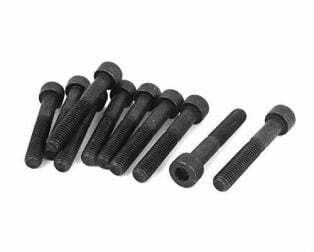 EasyMech M4 X 40mm CHHD Bolt, Nut and Washer Set-15 pcs. Weight: 65 gm (15 set). 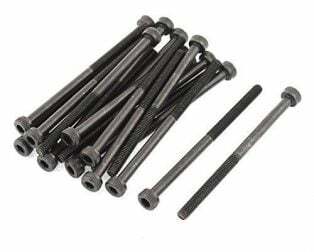 EasyMech M4 X 50mm CHHD Bolt, Nut and Washer Set-15 pcs. Weight: 75 gm (15 set). 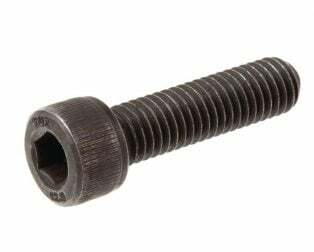 Bolt Head Outer Diameter: 6.9mm. 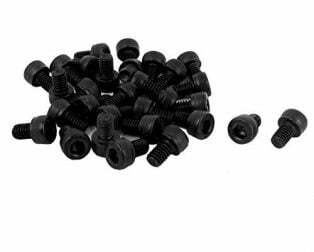 EasyMech M4 x 6mm CHHD Bolt, Nut and Washer Set-25pcs. 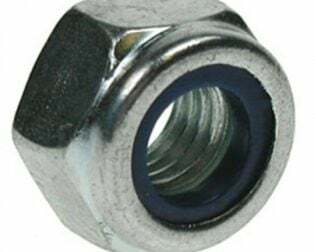 Easymech M5 MS Dome Nut (Acorn Nut) – 25 Pcs. Weight: 17 gm(25 pcs pack). EasyMech M5 MS Nyloc Nut-25pcs. 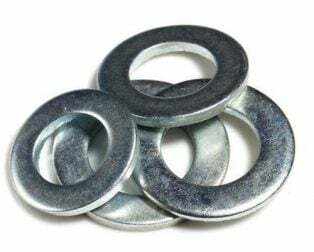 EasyMech M5 MS Plain Washer-100pcs. Weight: 30 gm(100 pcs pack). 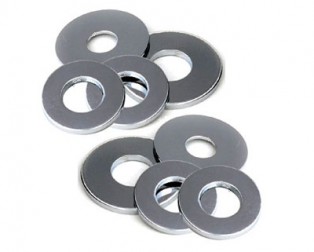 EasyMech M5 SS Plain Washer-50Pcs. Weight: 21 gm(50 pcs pack). 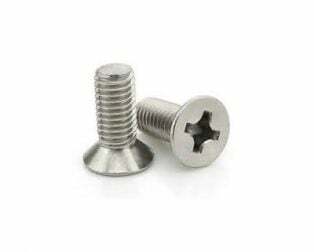 EasyMech M5 x 12mm CHHD Bolt, Nut and Washer Set-25pcs. 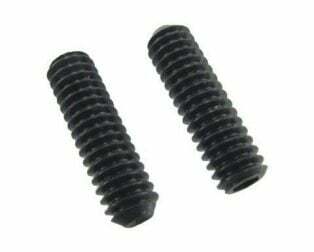 EasyMech M5 x 20mm CHHD Bolt, Nut and Washer Set-20pcs. 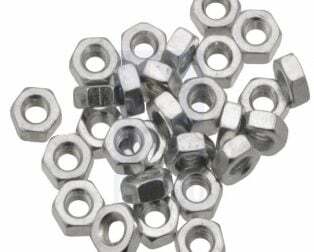 EasyMech M5 X 35mm CHHD Bolt, Nut and Washer Set-20 pcs. Weight: 135 gm (20 set). 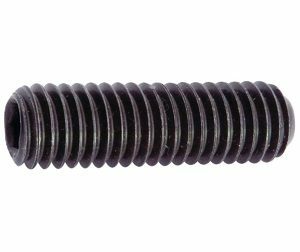 Bolt Head Outer Diameter: 8.2 mm. 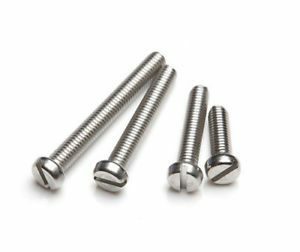 Length of Bolt: 35 mm. 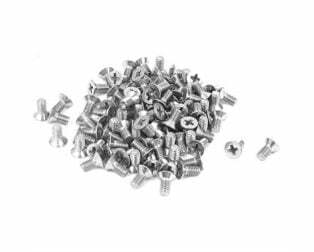 EasyMech M5 x 8mm CHHD Bolt, Nut and Washer Set-25pcs. 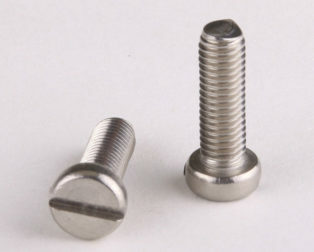 EasyMech Set of M2 X 10MM Socket Head Cap (Allen) Bolt and Nut-12 pcs. Allen Key size Required: 1.5 mm. EasyMech Set of M2 X 8MM Socket Head Cap (Allen) Bolt and Nut-12 pcs. EasyMech Set of M2.5 X 10MM Socket Head Cap (Allen) Bolt and Nut-12 pcs. EasyMech Set of M2.5 X 8MM Socket Head Cap (Allen) Bolt and Nut-12 pcs. 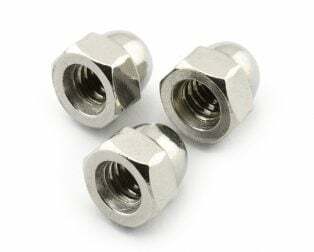 EasyMech Set of M3 X 10MM Socket Head Cap (Allen) Bolt and Nut-12 pcs. Allen Key size Required: 2.5 mm. EasyMech Set of M3 X 16MM Socket Head Cap (Allen) Bolt and Nut-12 pcs. EasyMech Set of M3 X 20MM Socket Head Cap (Allen) Bolt and Nut-12 pcs. EasyMech Set of M3 X 25MM Socket Head Cap (Allen) Bolt and Nut-12 pcs. EasyMech Set of M3 X 30MM Socket Head Cap (Allen) Bolt and Nut-12 pcs. EasyMech Set of M3 X 6MM Socket Head Cap (Allen) Bolt and Nut-12 pcs. EasyMech Set of M3 X 8MM Socket Head Cap (Allen) Bolt and Nut-12 pcs. 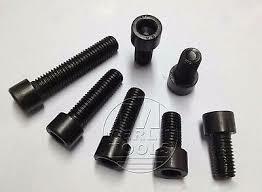 EasyMech Set of M4 X 10 MM Socket Head Cap (Allen) Bolt and Nut-12 pcs. 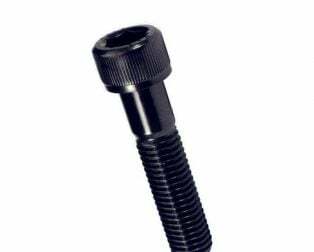 Bolt Head Outer Diameter: 6.8 mm. Bolt Drive Style: Hex Socket. 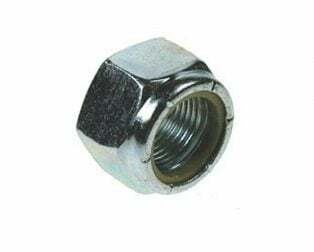 Nut Outer Diameter: 7 mm. Allen Key size Required: 3 mm. EasyMech Set of M4 X 16 MM Socket Head Cap (Allen) Bolt and Nut-12 pcs. EasyMech Set of M4 X 20 MM Socket Head Cap (Allen) Bolt and Nut-12 pcs. EasyMech Set of M4 X 30 MM Socket Head Cap (Allen) Bolt and Nut-12 pcs. EasyMech Set of M4 X 40 MM Socket Head Cap (Allen) Bolt and Nut-12 pcs. Type: M4 (4.0 mm Bolt Diameter). EasyMech Set of M4 X 50 MM Socket Head Cap (Allen) Bolt and Nut-12 pcs. EasyMech Set of M4 X 6 MM Socket Head Cap (Allen) Bolt and Nut-12 pcs. EasyMech Set of M4 X 8MM Socket Head Cap (Allen) Bolt and Nut-12 pcs. 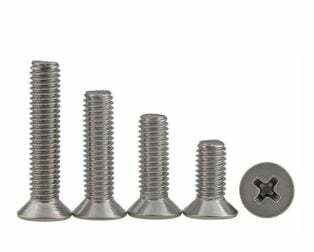 EasyMech Set of M5 X 12 MM Socket Head Cap (Allen) Bolt and Nut-12 pcs. EasyMech Set of M5 X 20 MM Socket Head Cap (Allen) Bolt and Nut-12 pcs. EasyMech Set of M5 X 25 MM Socket Head Cap (Allen) Bolt and Nut-12 pcs. EasyMech Set of M5 X 35 MM Socket Head Cap (Allen) Bolt and Nut-12 pcs. EasyMech Set of M5 X 65 MM Socket Head Cap (Allen) Bolt and Nut-12 pcs. EasyMech Set of M5 X 8 MM Socket Head Cap (Allen) Bolt and Nut-12 pcs. 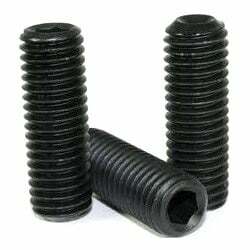 EasyMech Set of M5x16mm Socket Head Cap Bolt and Nut-12 Pcs. EasyMech SS 304 CSK Countersunk Philips Head M2 X 10 mm Bolt – 25 Pcs. EasyMech SS 304 CSK Countersunk Philips Head M2 X 6 mm Bolt – 25 Pcs. EasyMech SS 304 CSK Countersunk Philips Head M2 X 8 mm Bolt – 25 Pcs. EasyMech SS 304 CSK Countersunk Philips Head M2.5 X 10 mm Bolt – 25 Pcs. EasyMech SS 304 CSK Countersunk Philips Head M2.5 X 6 mm Bolt – 25 Pcs. EasyMech SS 304 CSK Countersunk Philips Head M2.5 X 8 mm Bolt – 25 Pcs. EasyMech SS 304 CSK Countersunk Philips Head M3 X 10 mm Bolt – 25 Pcs. EasyMech SS 304 CSK Countersunk Philips Head M3 X 12 mm Bolt – 25 Pcs. EasyMech SS 304 CSK Countersunk Philips Head M3 X 15 mm Bolt – 25 Pcs. EasyMech SS 304 CSK Countersunk Philips Head M4 X 10 mm Bolt – 25 Pcs. EasyMech SS 304 CSK Countersunk Philips Head M4 X 12 mm Bolt – 25 Pcs. EasyMech SS 304 CSK Countersunk Philips Head M4 X 16 mm Bolt – 25 Pcs. EasyMech SS 304 CSK Countersunk Philips Head M5 X 10 mm Bolt – 25 Pcs. EasyMech SS 304 CSK Countersunk Philips Head M5 X 12 mm Bolt – 25 Pcs.